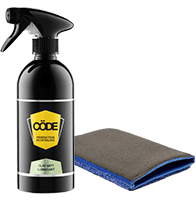 Cöde Matt/Gloss Detailer, Cöde Upholstery Cleaner. Clean your alloy wheels, restore your Whitewall tyres. Cöde Surface Prep, to remove all the old waxes, polishes and environmental nasties. Cöde Wash & Seal with Carnauba Wax, for that regular washing process. Wash the top of the vehicle first working down. Wheel arches & wheels last. Use of a Cöde Microfibre Noodle Mitt is recommended. 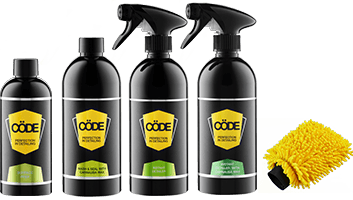 For touch-ups on the go we recommend Cöde Instant Detailer. 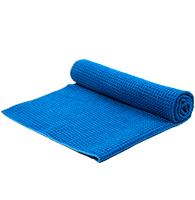 Cöde Luxury Drying Towel use for maximum absorbancy and swirl-free application. Cöde Clay Mitt. That extra process to ensure the best of prepared paint surfaces. CödeClean recommend an extra wash with Cöde Wash & Seal with Carnauba Wax at the end of this stage. Stage 1 – Cöde Cutting Polish, apply with a Flex power polisher. Removal all deep scratches. Stage 2 – Cöde Ultra-Fine Polish, apply with a Flex power polisher or orange Cöde Applicator Sponge. Cöde Premier 40% Carnauba Wax over the entire paint surface to provide the toughest UV protection possible. Apply with a black Cöde Applicator sponge. 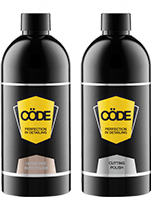 Cöde Hydrophobic Glass Cleaner to all the external glass and mirror surfaces Cöde Auto Glass Cleaner & Polish to all interior glass surfaces. Cöde Chrome & Metal Polish with Carnauba Wax to all chrome & metal surfaces. Cöde Wet Look Tyre Dressing using Cöde Tyre Dressing Applicator.